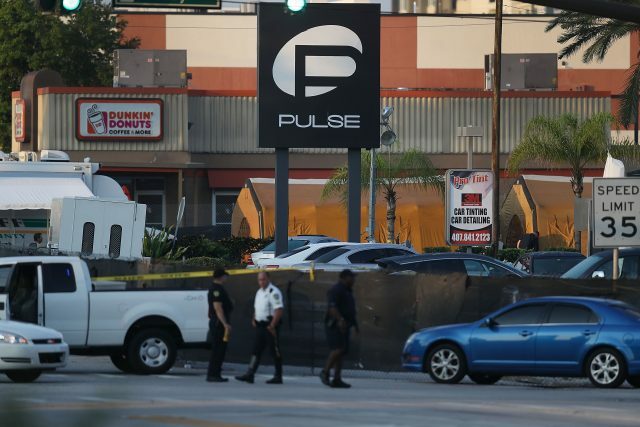 Omar Mateen opened fire on a gay nightclub in Orlando during the early hours of Sunday morning, killing 49 people and injuring more than 50. Here’s what we know about him. 1. He was born in New York. Mateen was born in New York but later moved to Florida, where he grew up. He lived in an apartment in Fort Pierce, Fla., which is over 100 miles from Orlando. 2. He was married before. 3. His parents are from Afghanistan. He was reportedly born to Afghan parents in 1986. 4. He pledged allegiance to ISIS during a 911 call. Mateen reportedly called 911 and pledged allegiance to Abu Bakr al-Baghdadi, the leader of the Islamic State, before the shooting began. 5. He worked as a security guard. Mateen had two firearms licenses, a security officer license and a statewide firearms license, that were set to expire next fall. He worked for the security firm G4S since 2007. 6. He had been investigated by the FBI twice before. A senior law enforcement officer told the Daily Beast that Mateen had been investigated twice before. “The Federal Bureau of Investigation at one point opened an investigation into Mateen, but subsequently closed the case when it produced nothing that appeared to warrant further investigation,” the Beast reported. 7. He grew angry after seeing two gay men kissing. His father, Mir Seddique, said Mateen got mad after he saw two men kiss in Miami. 9. He reportedly has a son. Mateen remarried a woman named Noor Zahi Salman and the two reportedly have a three-year-old son together. 10. He was killed in a shootout with police. Mateen was shot and killed when law enforcement raided the club to rescue hostages.